Gifts of beauty are one of those things that are always welcome. One of my favorite times of the year is when the holiday beauty collections are released. 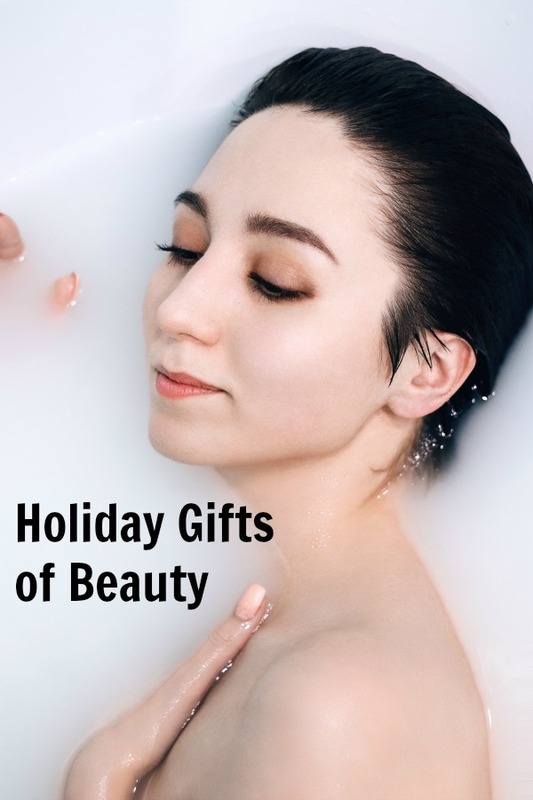 These are some of our favorite beauty items that we’ve encountered for the holiday season. They all make great gifts for that special someone on your list – or for yourself! Editorial samples and/or sponsored placements. Links may be commissioned. Thanks for supporting our site by shopping through them. 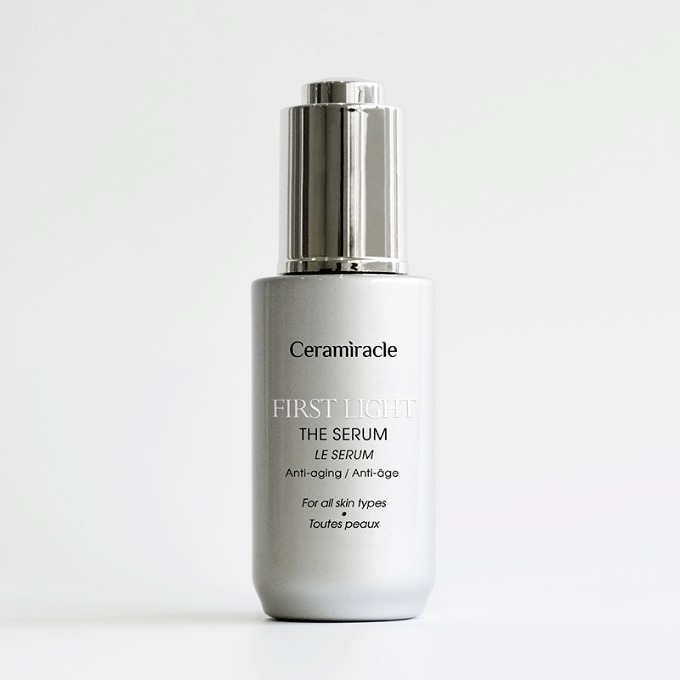 The First Light Serum nourishes your skin to be firmer and help alleviate the early signs of aging. With its skin softening and smoothing ingredients, you’ll see results in practically no time at all. It’s developed in California, but made in Korea, so you get the best of both worlds. Ceramiracle has no parabens, no mineral oil, is never tested on animals, and is fragrance free, too. We all want white teeth, but want to do it without damaging our teeth. 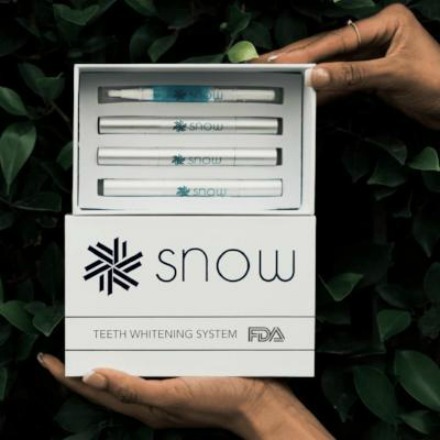 Snow Teeth Whitening Kit has a proprietary whitening treatment that really works. In just a few treatments, you’ll see a noticeable difference in your teeth. Even better, the kit comes with a year’s supply of the whitening treatment. It’s enamel safe, and oh so easy to use. In just a few minutes, you, too, can have a Rockstar smile. This set is loaded with 9 of Purlisse’s most popular products in deluxe sample sizes. And then, there’s 6 more sheet masks, bringing the total number of items to 15. It’s a great way to introduce the line to someone new. 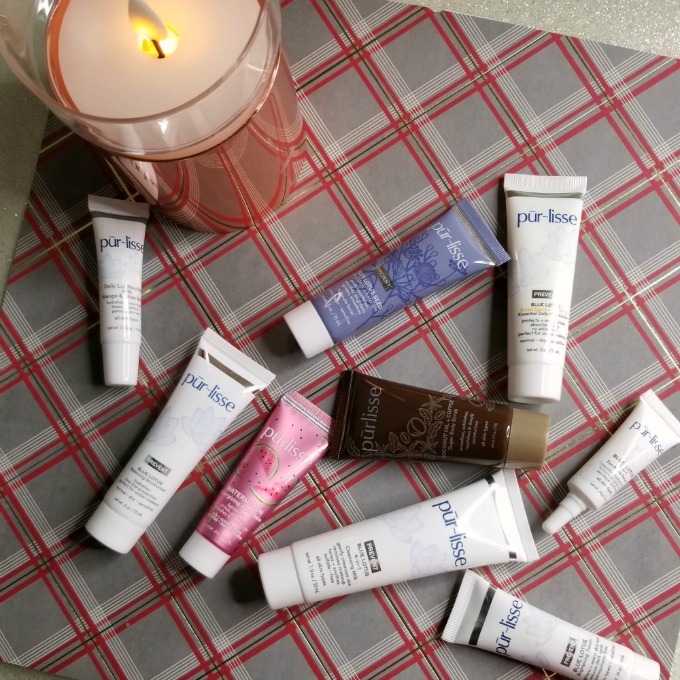 The Purlisse Stocking Stuffers is also a great way to get smaller sizes of your faves for your makeup bag, gym bag, desk at work, or traveling. This is a new to me brand, but apparently they’ve been around a while. Love Beauty and Planet believes that you need to work on being eco-friendly from the start. They take this into consideration with their ingredient sourcing, as well as their social partnerships. They’re doing this at a budget friendly price point everyone can afford. But even better, their products are good quality. Their aluminum free deodorant really works, and the dry body oil absorbs quickly while leaving your skin feeling amazing. 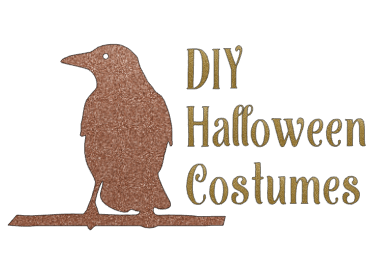 Their items are all cruelty free, and certified vegan, too. I know. You’re going “Whaaa? Who can’t make a ponytail?” hear me out. 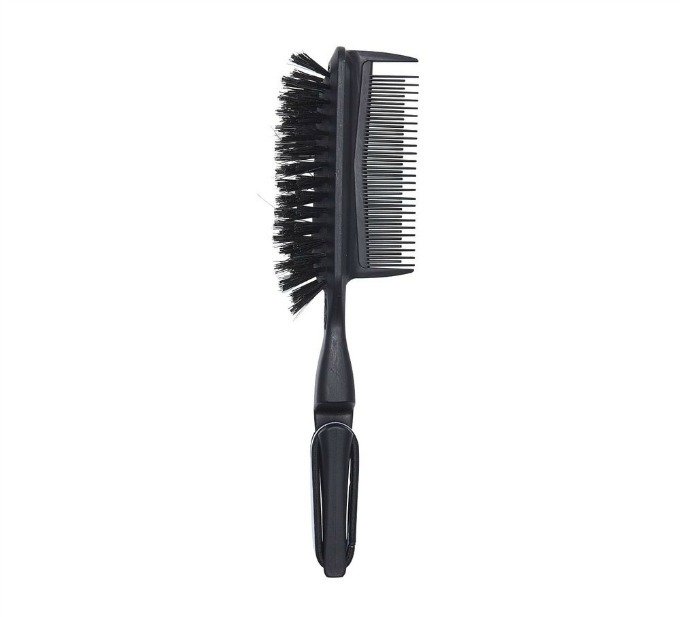 This brush makes your ponytail better. The brush side helps to smooth your hair and eliminate static. The comb side helps create even, straight parts and can also be used to create volume by teasing. The handle has a spot to keep a hair tie. Seriously, it’s genius. Get one to keep in your gym or yoga bag for perfect hair on the go. Treat your winter dry skin with Natura Brasil. Their Cacau collection of body wash, body scrub, and body butter is a regimen that will leave your skin soft and silky smooth. Cacau is the main ingredient in cocoa butter, so you know how luxurious that is. With ingredients like olive oil and shea butter, it only gets better. Natura Brasil never uses parabens, phthalates, mineral oil, or sulfates, either. Have you heard about body brushing or dry brushing? It’s a method where you, basically, brush your body to help get rid of toxins, stress, and impurities. enmarie has a great kit to hep you get started on this journey. It has the body brush, and a collection of oils for the body. These include Beloved Body Oil, Treasured Face Oil, Nurturing Neck & Décolletage Oil, and Not to Be Forgotten Nail & Cuticle Oil. Juice Beauty is known for their great green approach to beauty. Using the best, top notch ingredients that are good for you, and good for the Earth, they approach their products a little differently. The Colors of California Liquid Lip set is named after actresses who are some of their biggest fans. Gwyneth, Cameron, Blythe, Drew, and Kate will give you a complete lip color wardrobe. 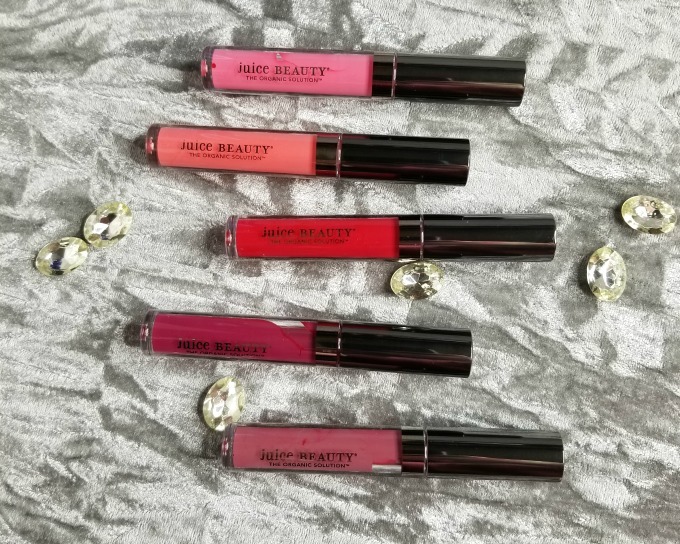 These go on like a liquid lipstick, but wear like a lip stain.Application takes a little practice, but once you nail it, POW! 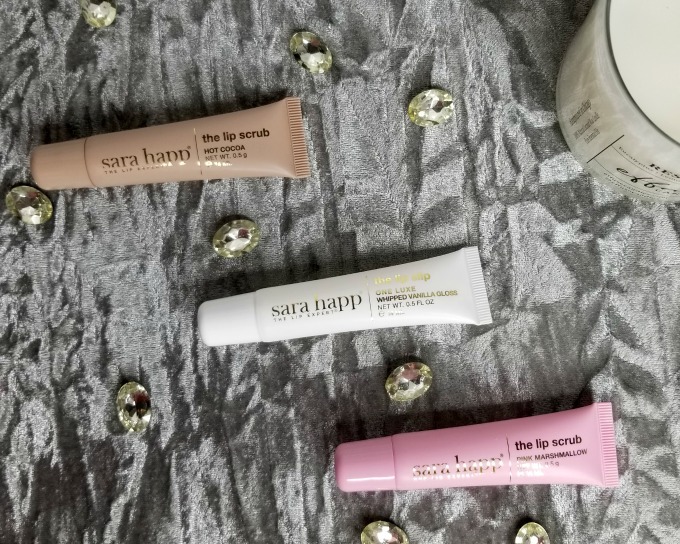 Get those lips in tip top kissable shape with the Sugar & Shine set from Sara Happ. It has two lip scrubs – one in Hot Cocoa, one in Pink Marshmallow, and a Lip Slip in Whipped Vanilla Gloss. The scrub will take care of your dry lips with the nourishing qualities and then use the Lip Slip to moisturize and protect. Peace Out is a brand that’s dedicated to getting rid of some of our problem areas. The Peace Out Favorites set has 20 healing acne dots, 1 Blackhead + Pore Strip, and 4 Puffy Eyes under eye patches. All in a cute silver holographic case that you can take anywhere. This bad boy is gonna get you through the holidays, and into the new year looking fab. This is available exclusively at Sephora. Aren’t these great beauty finds? They’re not only perfect for the holidays, but really, all year long. I love that you had a dry brushing set in your list of beauty gifts. I’m a recent aficionado.